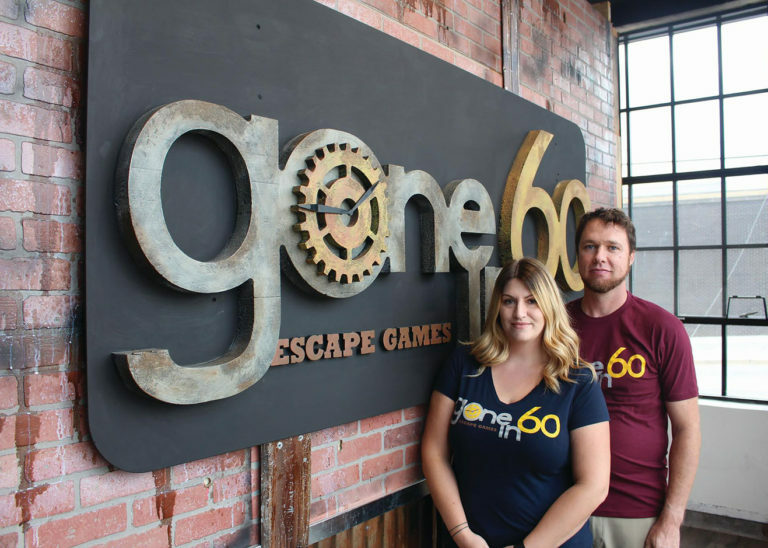 Gone In 60 Escape Games is Peoria’s first and only escape room game experience that really immerses you in your locked environment. Co-owners, Matthew Ruder and Sara Fickes’ vision and goal are to make it feel as real as possible. Long before opening on June 30th, 2017, Matt and Sara were researching and learning all they could from friends in the industry – an industry that is closely related to haunted houses where the Matt and Sara story began. Want to know more? Read more about us and our company, Red Hat Enterprises, here.